Four bins of maternity have come out of storage and gone out onto the floor. Lots of new jeans/pants. 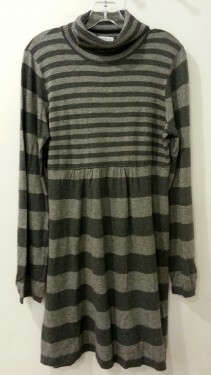 Lots of new sweaters, shirts, dresses. Lots of little black dresses! Check out some of the finds! Brown cashmere sweater by A Pea in the Pod, medium. $55.99. New shirts on the floor!